Leading up to the event, the Hammer wants to create a Mixed Reality product that will allow Angelinos to participate in building communal art (in the MR field) while exploring their city in new ways. The product will feature the neighborhoods each featured artist works in, and like Pokemon Go, the users will need to physically travel to those spaces to view the artist’s work, and co-create pieces in that space with others. 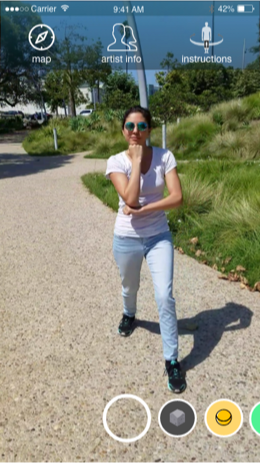 Create an augmented reality mobile application that allows Angelinos to participate in building communal art while exploring their city in new ways. 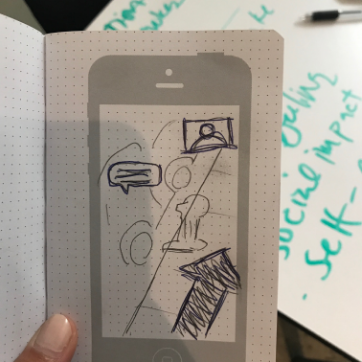 How do we create an experience using augmented reality that meets user needs and client needs? 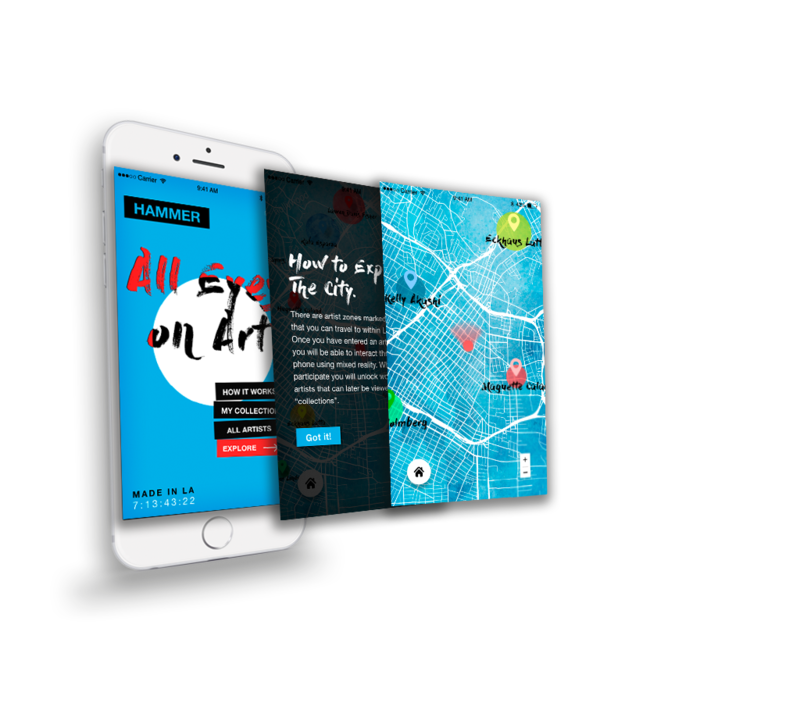 An adventure mobile app where users venture to featured Artist Areas in Los Angeles to contribute to and experience the artist’s intention through their phone’s augmented reality capabilities. 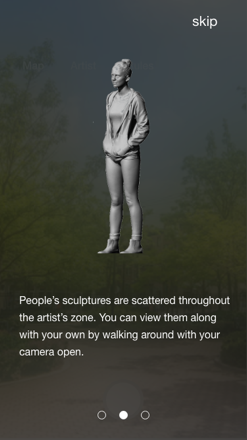 A unique interactive experience at every Artist Area that encompasses the artist’s theme so the user can more deeply understand through participation. Unlock achievement after interacting at each Artist Area. Nadia is walking her dog in Echo Park, walking down Sunset Blvd. As she crosses the street to get to the park, she hears a notification go off on her phone. She pulls out her phone to see that it is a notification from the Made in LA app she downloaded the night before when someone at DTLA artwalk told her about it. Having already browsed through the app briefly the night before, she had a vague sense of what was going on. 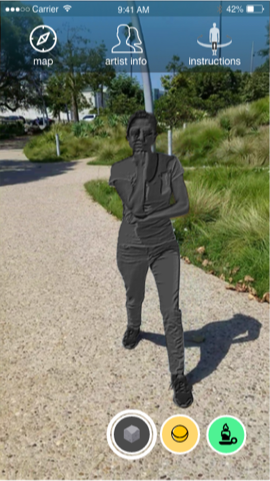 Nevertheless, she opened her phone screen, and swiped through the onboarding directions and she began exploring the park and the sculptures left in the digital world by those before her. 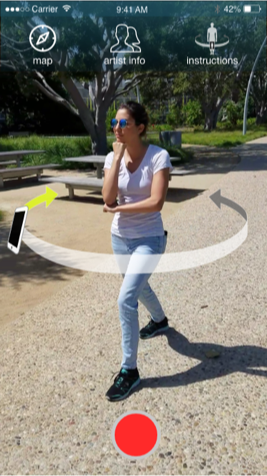 We sifted through research on existing augmented reality mobile applications to familiarize ourselves with the capabilities and current applications of mobile augmented reality tehnology. We also researched existing interactive art experiences to get a sense of how people are creating these and how people engage with these. 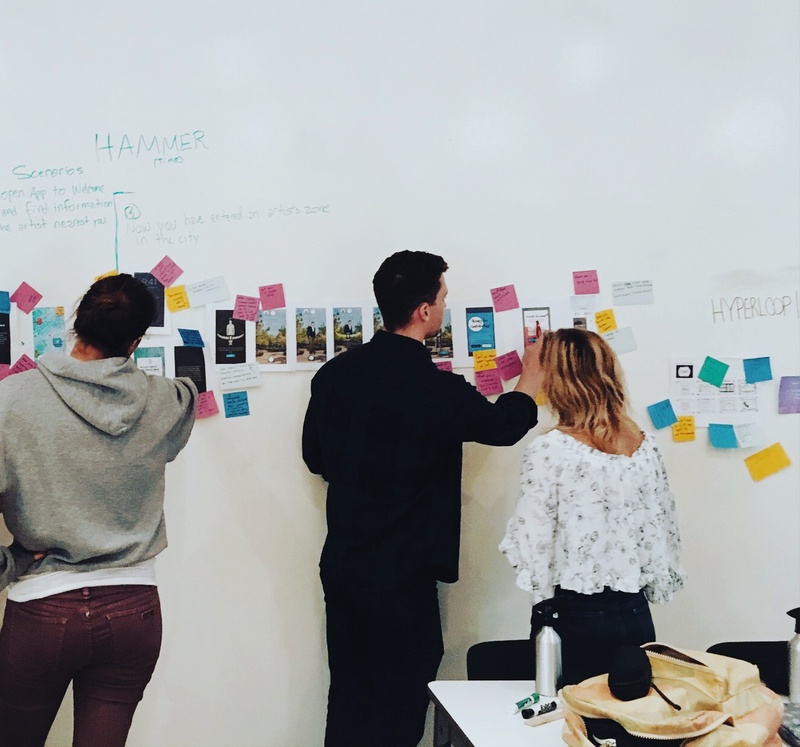 Our team visited the Hammer Museum during an event of a similar audience and purpose to learn and observe how people were engaging with the art. We conducted several user interviews both on site at the HAMMER and remotely. 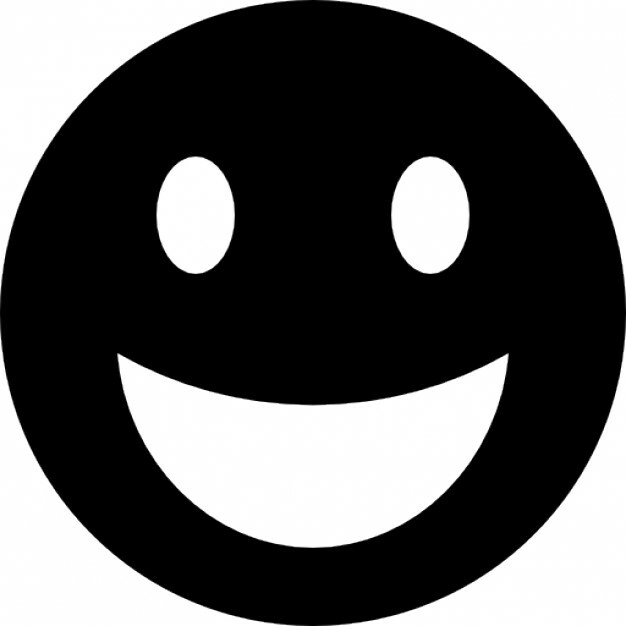 We also developed and administered online surveys for users and artists. We wanted to understand people’s experience with art, with interactive art, and their experience with augmented reality. We wanted to know what people get from art, why they seek out art, why artists shared their art. 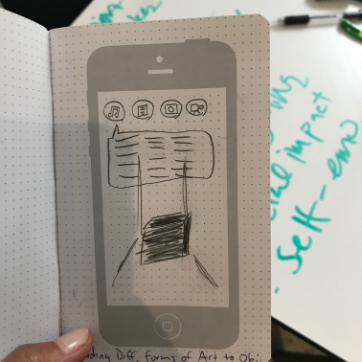 In understanding this about our users, we can better design an app that enhances the experience of interacting with art. It’s a better art experience for a person when they understand the art, because they relate to it more, they connect with it more. They like knowing how it was created, why it was created, what inspired the artist. Artists share art to release, to feel understood, for validation, to feel connection. 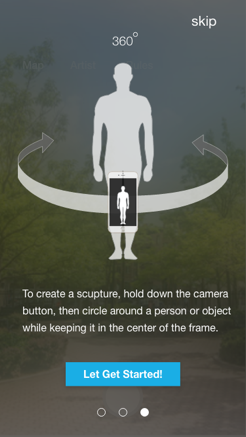 There are several ways to execute this task, to create a way for people to cocreate in Artist Areas through Augmented Reality. 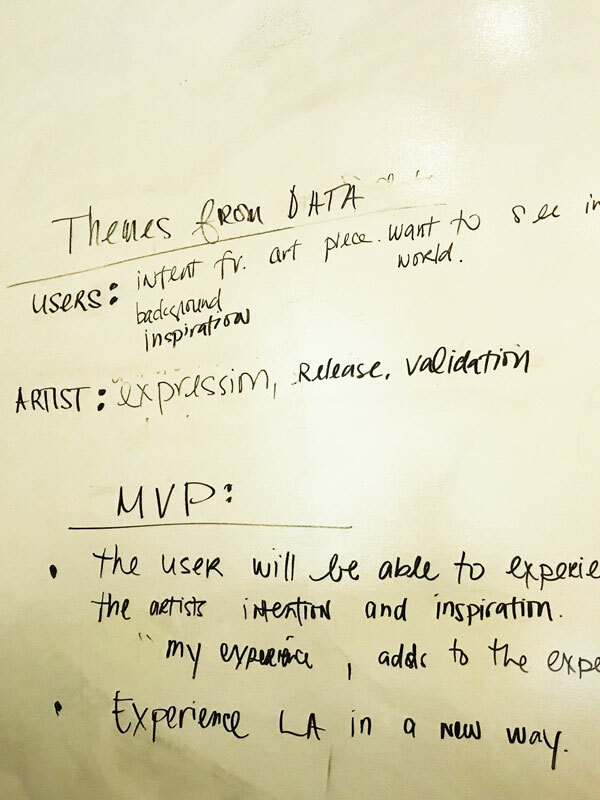 Based on the user research, we wanted to incorporate a way for the user to receive more information and understanding of the artist and artist work and intention. Since we found that artists’ process and methodology is a valuable thing for users, we decided to make that information a reward and incentive to travel to these Artist Areas in Los Angeles to interact and contribute. 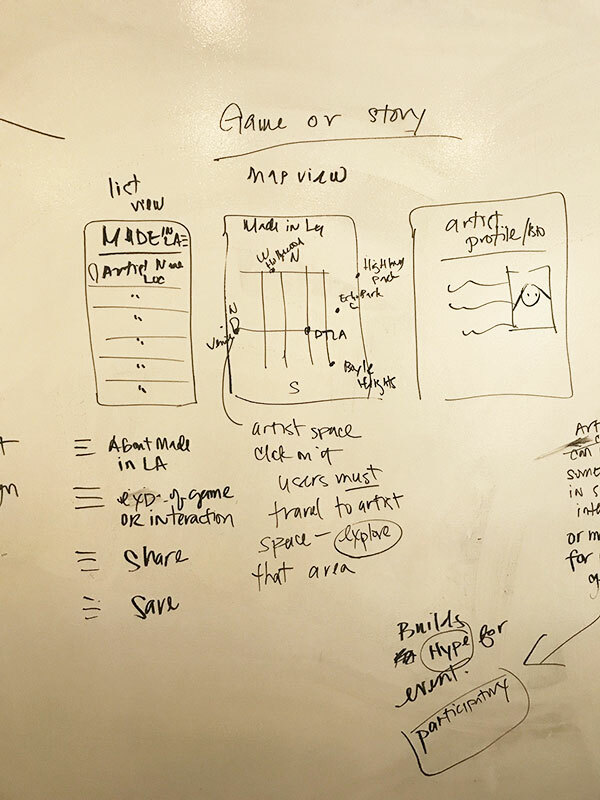 We designed a user flow of the user going to an artist zone and interacting in that space. 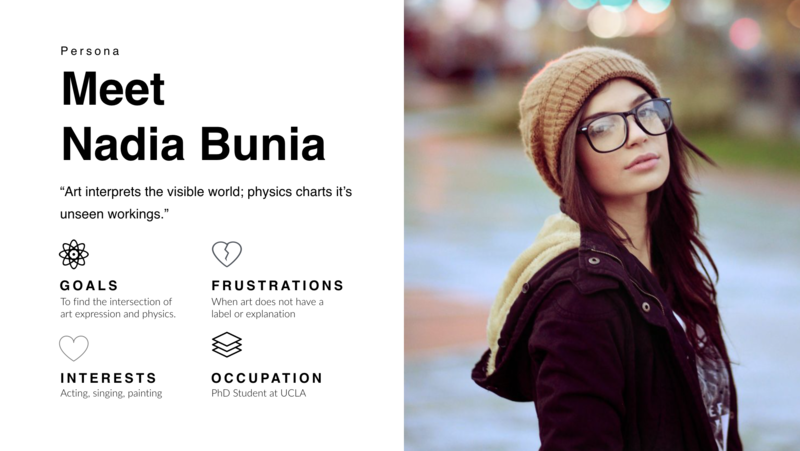 To better enhance the understanding of the artist’s art for the user, we decided to make each interactive augmented reality experience specific and unique to each Made in LA artist. We used an artist from the previous Made in LA event to demonstrate the concept. 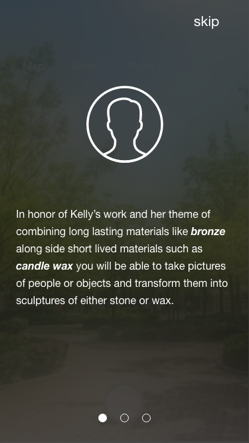 We chose this sculptor who chooses materials who explore the concept of impermanence and permanence. After they have completed the activity then they unlock that artist’s inside information.